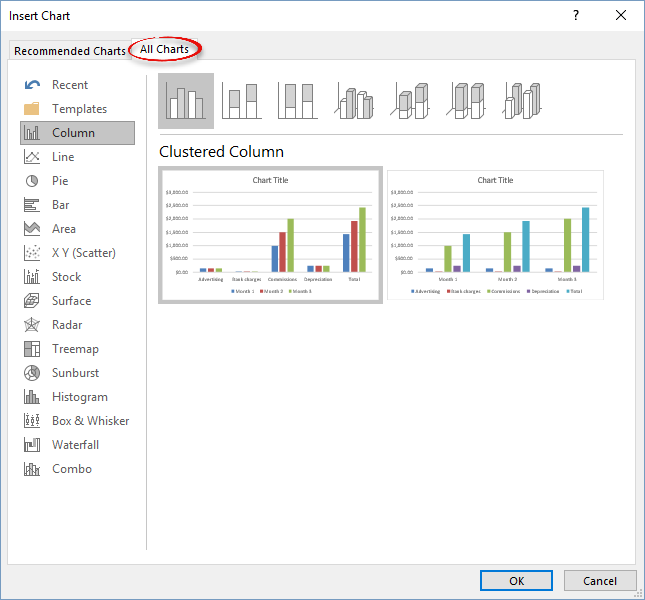 Use the recommended charts command to see which charts work best with your data. You can also preview the chart before inserting it. 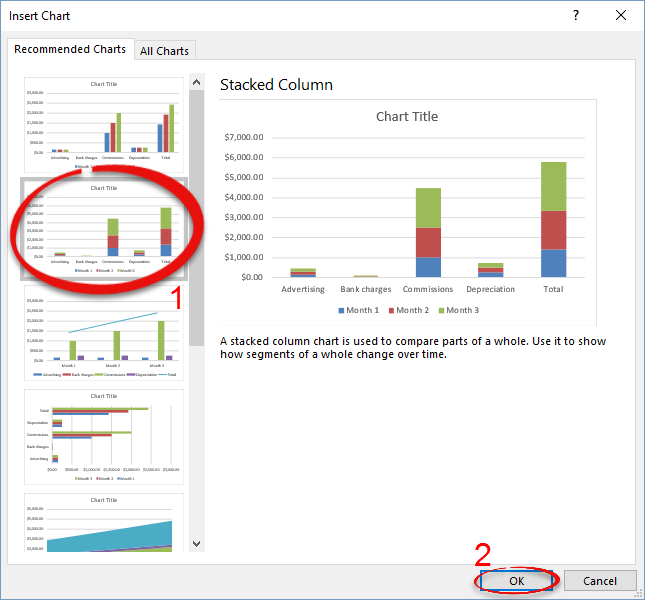 This article shows Excel 2016, but this process also works in Excel 2013. Step 1:Open your data in Excel. Select the data you would like to include in a chart. 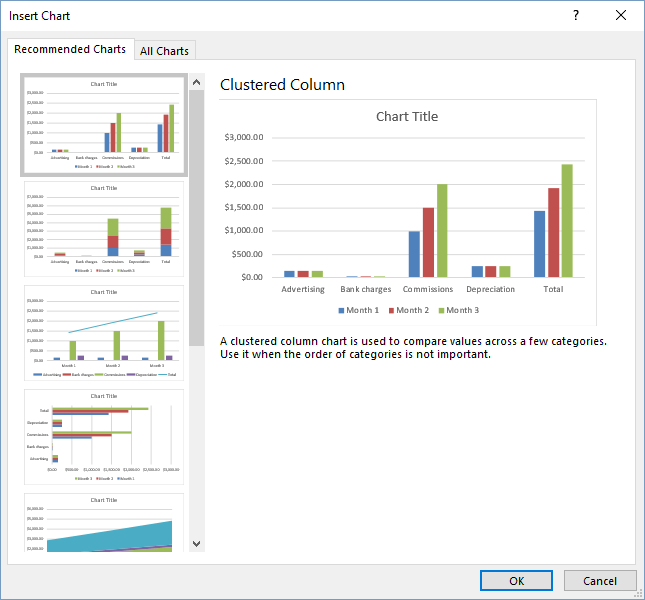 Click the Insert tab and select Recommended Charts from the Charts group. You will see a list of recommended charts for your data. You can also click All Charts to see all of the available charts. 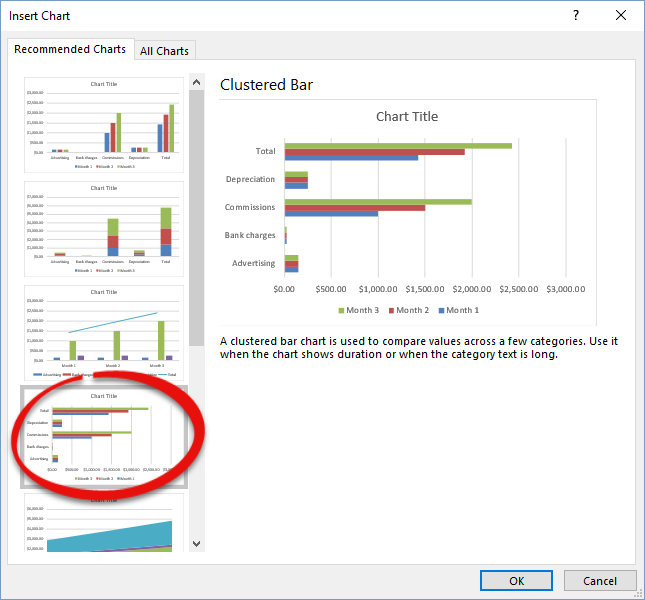 Step 5: Select a recommended chart from the list to preview it in the right side of the window. 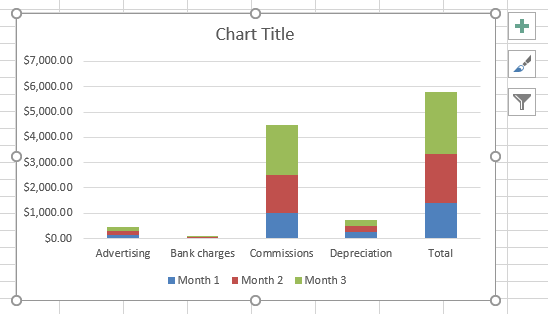 Step 6:Select the chart you would like to insert, then click OK at the bottom of the window. The chart will appear on your worksheet.